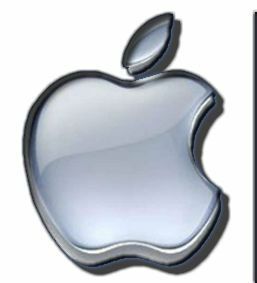 There are many users on internet who can’t start a chat with support of Apple. It’s because the specialists who are talking to you online, sometimes appearing on the site and sometimes you don’t able to see the button. If you are in trouble with your iPhone, iPad or another product of company, you can also use of troubleshooting service in the site. We are going to tell you how do you access these specialists online in this page. It will help you to get an online support from company and you will able to use your devices again, if there’s no serious issue with it. We recommend you to watch our video for learn how to begin to chat with experts of the company. It’s actually very easy but you need to do a few things first. If you are from UK, you should join the site at 09:00-17:00 for Apple live chat. Otherwise you won’t able to reach to the site. If you are out of US or UK, you need to download a VPN program to reach experts. Some countries doesn’t have live chat supports. After you join to the site don’t forget to select to USA as country. Firstly clear all your cookies and then go to https://support.apple.com/contact and click on “get started” button. Select your country as USA there. Click on a product which you want to talk with expert. (Eg: You have iPhone 5 and you have trouble with your device. Click on iPhone image on the site) Select one of the options which is annoying you. (Eg: You are in trouble with battery. You should click on Battery, Power and Charging) Select one of the related issues and then the system will ask you question. The answer is “No” of course and then click on “No, Thanks. Continue” button. You will see the chat option there which is writing “Start a chat session with Apple Support now.” Click on the image and get support from experts! If you didn’t understand anything from this you can also watch our video, it will be easier for you to understand how to connect to staff. Important: There is not always online staff available for chatting about some products on Apple as you will see on the video. You can also want Apple to call you about situation, if there’s not online staff. Unfortunately there’s no direct access link for reach to apple live chat. However you can still click on the link which we have told you above and you can access to site. Then you can do what we have told you in there (or you can watch to video) and reach to expert easily. You can do it for Australia, Japan, Korea, New Zealand, Turkey, Middle East Countries, UK and Ireland, Norway, Sweden, Germany, USA, Canada, Russia, Iceland, Puerto Rico, Argentina, Aruba, Bahamas, Barbados, Bolivia, Brasil, Cayman Islands, Chile, Colombia, Costa Rica, Curaçao, Ecuador, El Salvador, Guadeloupe, Guatemala, Guyana, Honduras, Jamaica, Martinique, Mexico, Nicaragua, Panama, Paraguay, Peru, Republica Dominicana, Trinidad & Tobago, Virgin Islands, Uruguay, Venezuela, België, Belgien, Belgique, България, Czech Republic, Estonia, Latvia, Lithuania, France, Tanzania, Egypt, Kuwait, Bahrain, UAE, Saudi Arabia, Oman, South Africa, Morocco, Lebanon, Tunisia and many other countries of the world. You still can’t connect to Apple Live Chat? Don’t worry about it, you can still want them to call you and they will reach you as soon as possible. You can read more about this subject at incoming days in here. Not able to move after security check step. Thank you for the question. I believe there is not any security check or something like reCAPTCHA on Apple Live Chat. I am going to check the steps for you again. If there is any, I am going to update this page and we are going to provide solutions for the problem you had. I am from Mexico and I had some problems to reach support. Thank you very much. Your video was quite handy and it helped me a lot.